The “fresh start” for SmackDown Live was a fun episode with Asuka putting her title on the line against Naomi, Gallows and Anderson attempting to make a statement, and Mustafa Ali joining AJ Styles to take on Daniel Bryan and Andrade Almas in the main event. 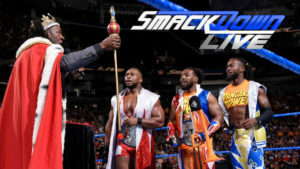 Carmella gets her rematch, Bryan and Almas face each other for the first time, the journey to find a new contender for the tag titles begins, and New Day meets King Booker in a pretty good episode of SmackDown Live. Zack Ryder returns to the ring as the Hype Bros face The Colons and the Kickoff for this year’s Money in the Bank PPV. This was a good show that featured the SmackDown Live debut of Lana, a rematch between Styles and Ziggler, and a first time on SmackDown bout between Owens and Nakamura! 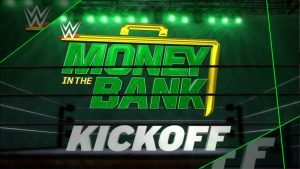 Money in the Bank continues to get shaped as Shane McMahon makes a historic announcement, New Day makes their SmackDown Live debut, and the competitors in the WWE Title Contract Money in the Bank match clash once again. This was an okay show with some interesting moves from certain superstars.